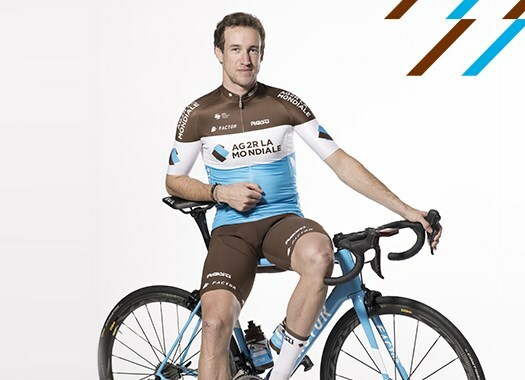 Alexandre Geniez (AG2R La Mondiale) has taken the second victory in the 2018 edition of the Vuelta a España for his team and his fourth win in the season. The Frenchman was part of the day's breakaway and was the strongest at the reduced final sprint. "It was a difficult day to handle," said the rider at the finish line. "We did not think it would be a stage for the breakaway. "We all got along well until the classified climb, then we took turns taking attacking each other. It was a bit like a game of poker. It was necessary to manage your resources well. You couldn’t invest too much energy before the right moment. And I had to watch out for the really dangerous riders." The final was in a narrow stretch and it was unclear where was the line. "In the end, I did not know what to expect on this narrow road," Geniez explained. "We did not even see the finish line before the 300 meters mark, so we were searching for the signs in order to know when to start the sprint. "After a good start to my season, it has now been six months since I last raised my arms in victory. This win is a great reward for all the work I did this summer. The Vuelta has been good to me. This is my third victory here. At this race, things work a little differently. Breakaways can often play for the stage win. And now after Tony (Gallopin) won a stage, the whole team is working really well. It's motivating for the future."